From left: Reiko Sato, lecturer of Japanese at UC Riverside; Yuta Hayashi, an exchange student from Tokyo University; Riverside Mayor Rusty Bailey; and Hiroyo Nonoyama, director of U.S. and Japan programs for the U.S.-Japan Council. 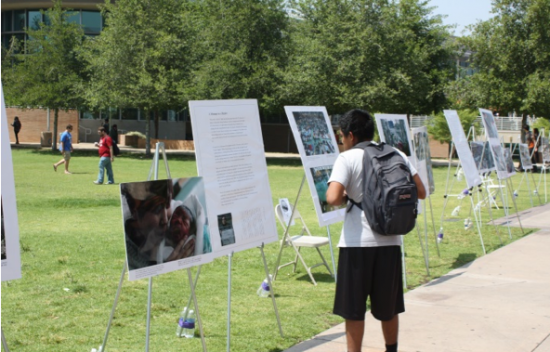 IRVINE — A photo exhibition of the Tohoku earthquake and tsunami will be shown on Monday and Tuesday, May 20-21, from 10 a.m. to 2 p.m. in front of Langson Library on the UC Irvine campus. 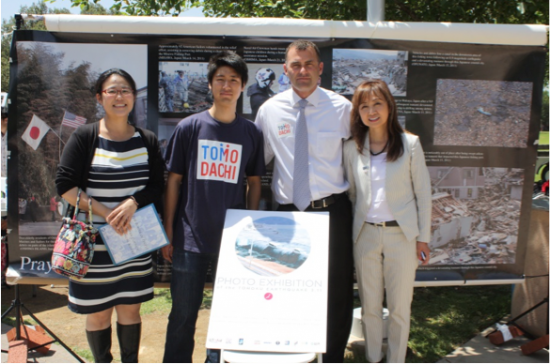 The exhibition was first displayed at UC Riverside on April 30 and May 1, with Riverside Mayor Rusty Bailey and leaders from the U.S.-Japan Council among the visitors. Well-wishers wrote messages of encouragement to the survivors, and those who view the photos in Irvine will also have an opportunity to do so. 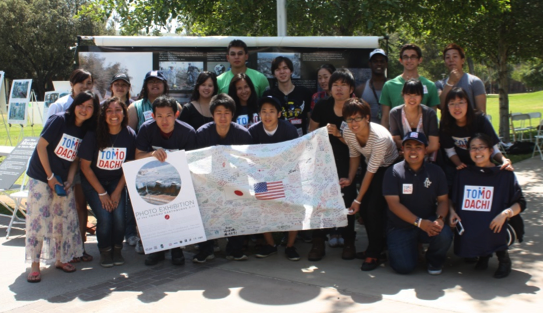 The creation of Japanese college students studying at UC Riverside and UC Irvine, the exhibition consists of photos primarily from the archives of the Embassy of the U.S. in Japan in addition to Nikkei Inc. (Nihon Keizai Shimbun) and the City of Sendai, Riverside’s sister city. 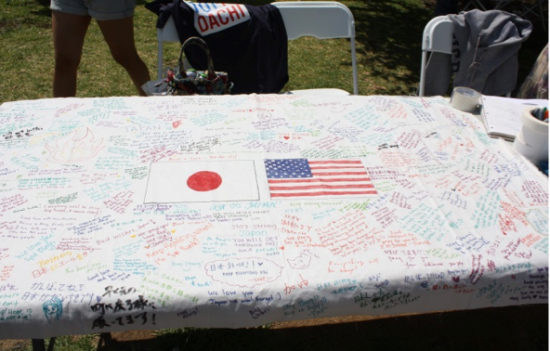 The students, Yuta Hayashi and Kaito Okada, put together the exhibition as a gesture of appreciation for the support received from the U.S. after 3/11. They are active members of student volunteer group UT-Aid, based in Japan, which provided significant assistance to those recovering in the Tohoku region. The exhibit is a reminder that support is still needed. The exhibit is supported in part by the TOMODACHI Initiative, a public-private partnership led by the U.S. government and the U.S.-Japan Council, with the support of the government of Japan and corporations, organizations and individuals from both countries. TOMODACHI seeks to foster a “TOMODACHI Generation” of driven doers, thinkers and creators who are invested in the future of U.S.-Japan relations, much like Hayashi and Okada. The exhibit is also organized by the Aurora Foundation and supported by Parachute Graphics Inc. and the Japanese Student Association. Volunteers from UCR’s Sakura-bu (Japan Club). Students paused to look at photos of the tsunami’s aftermath. Messages of support for those who survived and are rebuilding their lives.